In my spare time, I like to sit on mossy logs. A big thanks to Vancouver photographer Makito Inomata for the new author photos! As part of getting ready for the Laser Moose book launch, I needed to get some author photos (because they come in handy for press kits and articles and that sort of thing). It’s a weird experience to have your picture taken for several hours, but Makito made the whole thing a lot of fun. 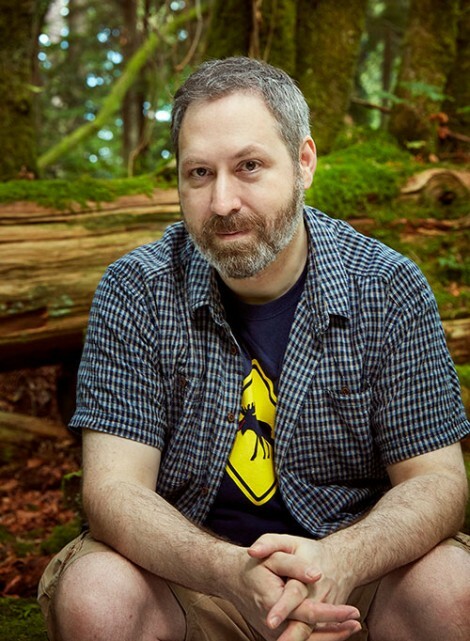 Because my new book takes place in the forest, I thought it would be fun to have author photos taken outside, so we hiked around Stanley Park for these shots. 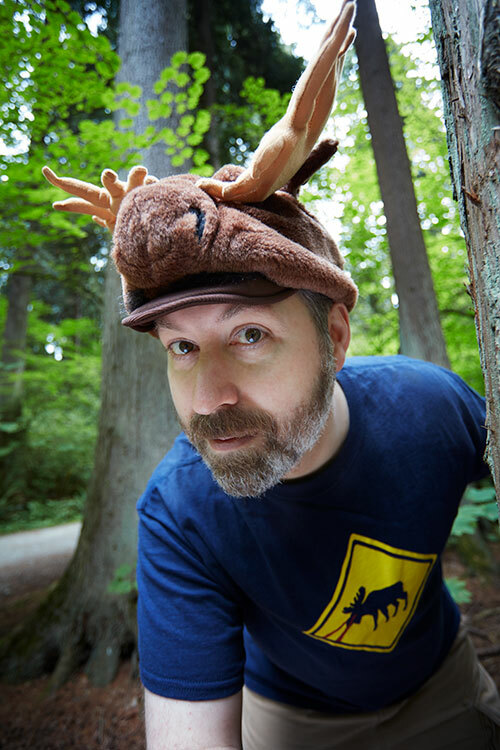 Besides the normal author shot, we also did a bunch of goofier pictures with me wearing a moose hat, looking like I’m searching the forest for moose. Didn’t spot any moose, this time, but seeing a cartoonist outside (instead of hunched over a drawing table) is an equally rare sight! Anyway, be sure to check out Makito’s website for more of his excellent work. ← Q: How do you deal with writer’s block?